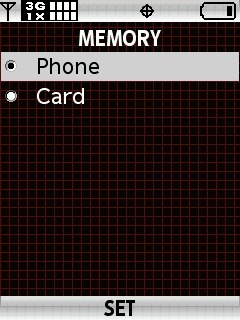 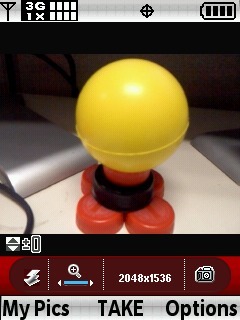 From the main screen, press the camera key (located above the Send key of the handset). 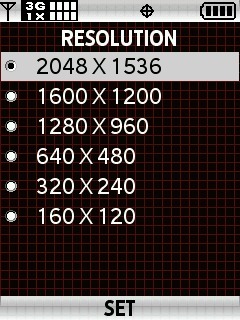 Select Resolution then press the center of the 5-way navigation pad to choose OK. 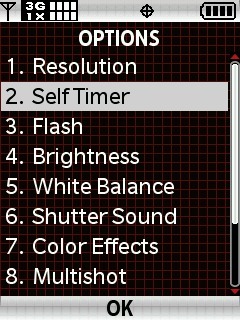 Select Self Timer then press the center of the 5-way navigation pad to choose OK. 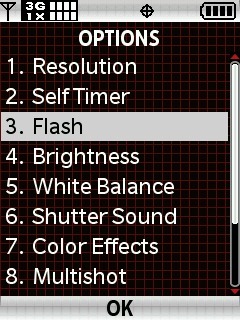 Select Flash then press the center of the 5-way navigation pad to choose OK. 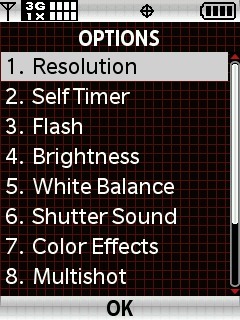 Select Brightness then press the center of the 5-way navigation pad to choose OK. 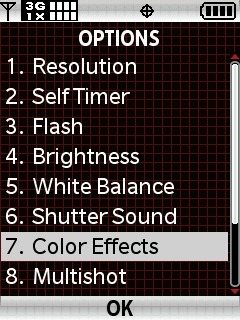 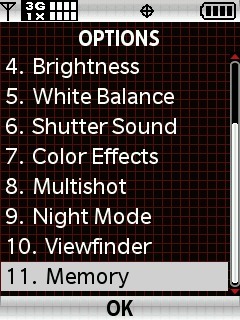 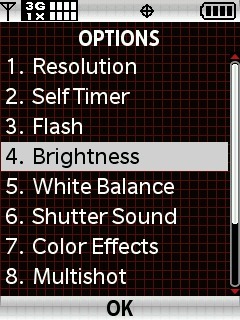 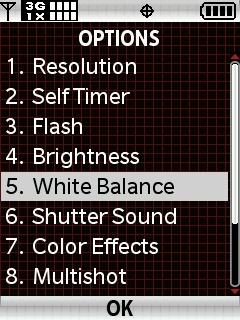 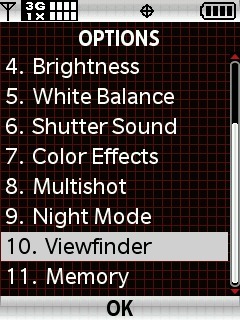 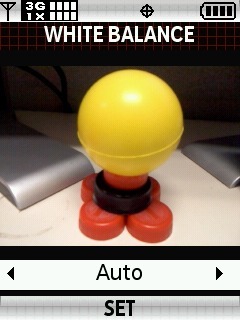 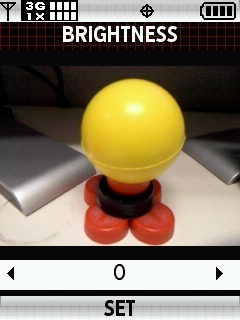 Select White Balance then press the center of the 5-way navigation pad to choose OK. 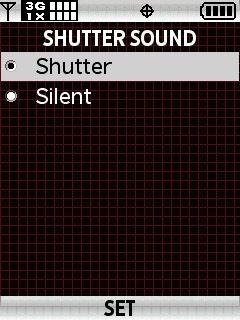 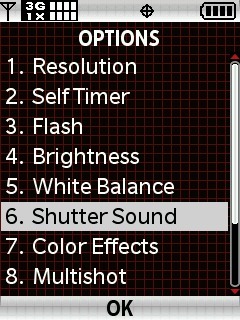 Select Shutter Sound then press the center of the 5-way navigation pad to choose OK. 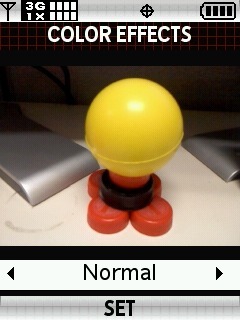 Select Color Effects then press the center of the 5-way navigation pad to choose OK. 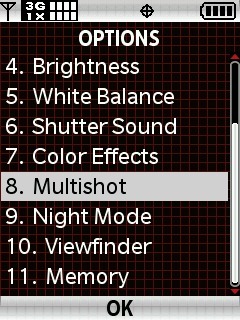 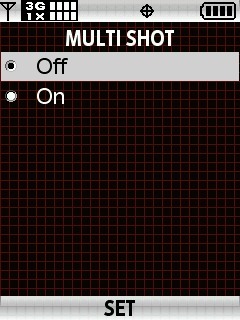 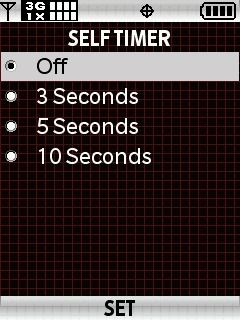 Select Multishot then press the center of the 5-way navigation pad to choose OK. 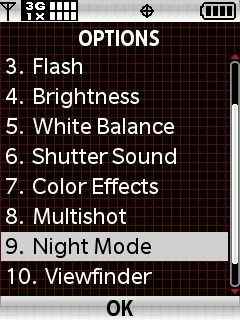 Select Night Mode then press the center of the 5-way navigation pad to choose OK. 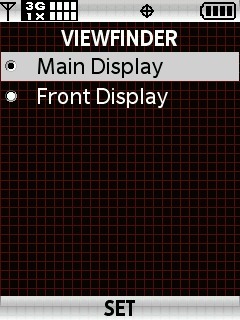 Select Viewfinder then press the center of the 5-way navigation pad to choose OK.